A snapshot I took during our attending Sunday Mass at Kamay ni Hesus in Lucban, Quezon. 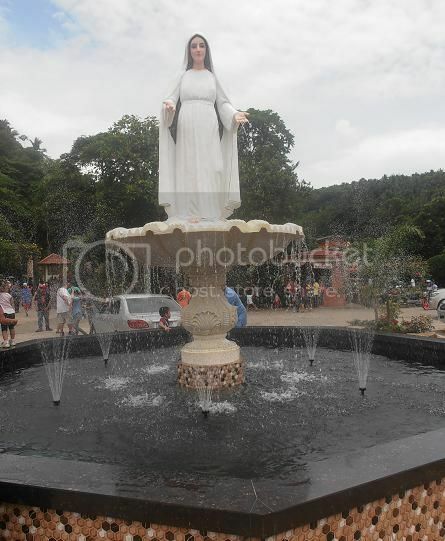 It was the new fountain there with Mama Mary’s statue and aside from that it is another attraction in Kamay ni Hesus. That is a beautiful fountain, it would be relaxing when you are trying to pray and at the same time listen to the water. That looks refreshing, I’m sure kids love that fountain right there. I haven’t seen this yet when we went there. That is a gorgeous fountain. I have never been to Kucban, Quezon. would love to go there someday. What a glorious photo of Mama Mary. I hope one day I can take my kids to a Catholic place and have a picture taken with few religious statues.